We are getting closer and closer to the first release of the new TRE IDE. 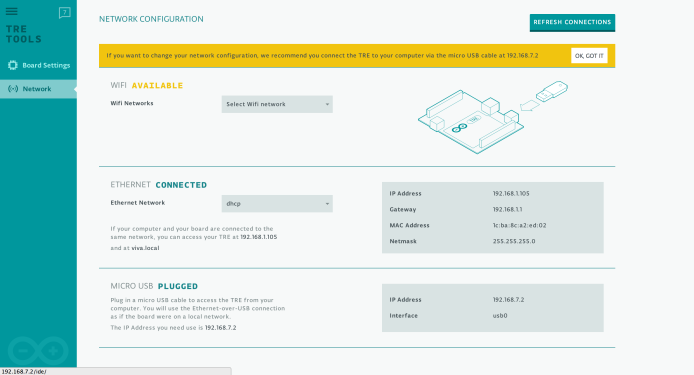 We are currently working on finalising some features for the Ethernet and WiFi connection, and for the Serial Monitor. We are also designing a new Arduino TRE Home, a place where users will be able to launch all the apps available for the TRE, run updates, and get support. More than 100 beta-testers are involved in the program, from a variety of backgrounds and ages. Most of the hardware tests have been completed by this incredible group of people. Beta-testers have been giving feedback on the software side too: as soon as we come up with a new release they try it out and report any issue they find. Beta-testers have also been helping out on porting existing examples to the TRE. Examples are really crucial to get beginners started with a new environment and this is even more relevant for this board, since it has so much more potential than classic Arduinos. We are also very excited to see the results of the projects that are already in progress: a Robotic Arm, a Smart Thermostat, a DSLR Controller, a Car Diagnostic Dashboard, and a variety of audio/video projects. Coming soon: Learn about the testing suite we are putting together to check all the production boards! So when this comes out it’ll be the 4th IDE for Arduino devices (Uno and older, Due and Yún, Intel Galileo and Tre) are there any plans to merge all of these together at some point? Its not a good point to merge them all. 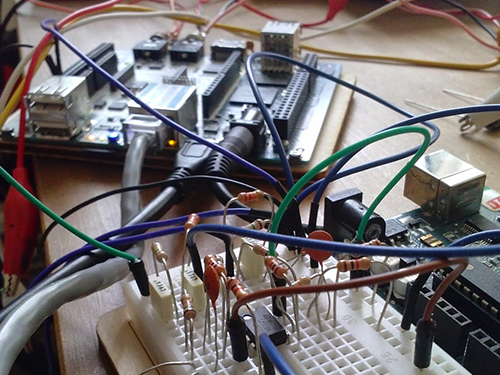 As different users can use different Arduinos as per their requirement and specifications of ARDUINO. 1.0.x is the stable “legacy” IDE which supports only the AVR architecture processors. 1.5.x is the “beta” IDE which is able to support multiple architectures. We’re debugging this IDE and adding a few exciting features we’ll announce in September. You can expect 1.5.x to become the mainline stable IDE sometimes in October. 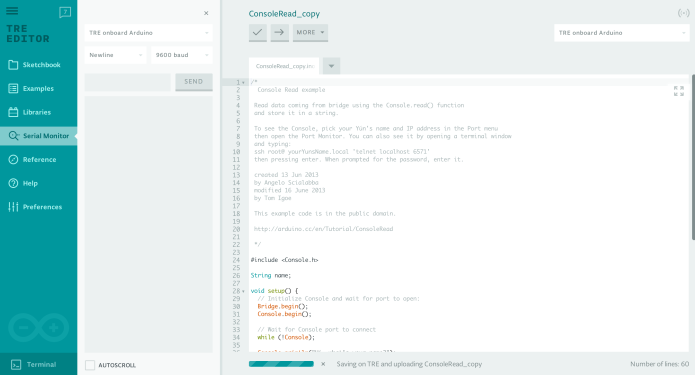 The 2.x “Web” IDE is a new development for Arduino which allows us to support a number of future use cases. Some users prefer to download and run the IDE on their computer, some other people would like to see the IDE integrated on the website. 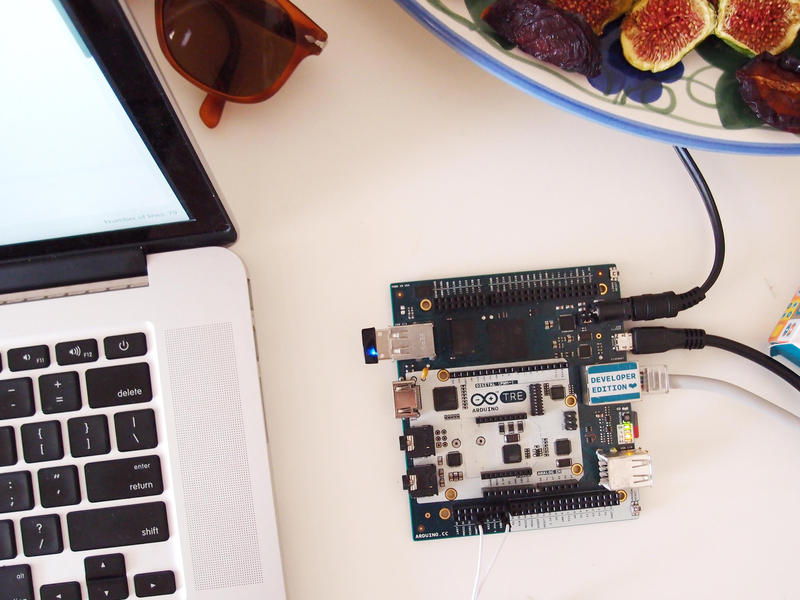 When we designed the Arduino TRE we wanted people to be instantly productive without any download, so we designed an IDE that could run from the device itself. The new 2.0 IDE supports all these use cases, and can use web technologies to integrate with other services and websites. As you can see the path is laid out, and soon it will become clearer where we’re heading. I am endearing if there will be a pre-release version for sale to developers. I have a medical application that I have been working on with a Yun and it needs the TRE. “wondering”, not “endearing”. %}|~€!! iPad spell corrector. like your plan to cater to different classes of users, however as a tinkerer I am not impressed by the delays that seem to be due to the more polished web interface for which I have no interest. Please do not bundle unnecessary web stuff. Stay true to your Open Source origins and release often, release early, and let users choose. May I place an advance order for the Arduino Tre? What gets called an “IDE” here is a bit of a joke. Integrated development environment would usually imply some kind of debugging and code stepping capability. The Arduino IDE is really nothing more a crude code editor with button click to compile and another to flash the device. Rather than messing around with fancy ( and frankly useless ) gimmicks like a “web” version, it would be nice to see an IDE worthy of the name. I’m not the first to make this kind of comment but if a major update in coming it would be good to see some major changes. Maybe some surprises are in store. Any news about the time when the Arduino Tre board will be available on market ? @ alvaro: Why don’t you make an original pic for your website. It’s not a difficult one and you can follow same approach with the board you are using and your computer. @Pedr0 When we have news we’ll be posting them on the blog! So this was announced over a YEAR ago. Will this EVER be a product? You still it’ll MAYBE be ready by March? And the BIG question – will anyone still want one by then?